The California Public Employees’ Retirement System (CalPERS) administers the largest pension fund in the country. It manages a portfolio exceeding $200 billion in assets that provides retirement benefits for more than 1.1 million active and inactive public employees and around half a million retirees and beneficiaries. The 1.6 million members of CalPERS are current and retired employees of the state, schools and public agencies. In addition to retirement, CalPERS manages health benefits for more than 1.3 million members and their families. CalPERS is transitioning from the State and Consumer Services Agency to the new Government Operations Agency by July 1, 2013, as part of a larger government reorganization. California’s state employees began discussing a retirement system as early as 1921, and learned that an amendment to the state constitution would be required. Eleven years later that amendment created the State Employees Retirement System (SERS), allowing the retirement fund to invest in bonds, and only bonds. It was seen as a way to retire state employees with income, clearing the way for younger workers. The state contributed $1.4 million over the first 18 months, to shore up assets during the early years of the Depression. Public agency and classified school employees began to participate in 1939. Legislation in 1953 allowed SERS to invest in real estate as well as bonds. More laws passed in 1967, allowing investment in stocks—but only up to 25% of SERS’ portfolio. Not until 1984 did Proposition 21allow SERS to exceed the 25% limit and send its board members and staff to explore international markets as investment opportunities. The Public Employees’ Medical Hospital Care Act of 1962 authorized CalPERS to provide health benefits to state employees, and was expanded five years later to cover local employees on a contract basis. The Long-Term Care Act of 1990 meant that long term care insurance could be offered to everyone covered by SERS, STRS (the State Teachers’ Retirement System), and those brought into SERS by the County Employees’ Retirement Law of 1937. Starting in 1995, a not-for-profit Long-Term Care Program was offered to all the state’s public employees and retirees. As the state has gone through budget difficulties, legislators and governors have tried to use the CalPERS fund to solve problems. Governor Pete Wilson was facing a $14 billion deficit in 1991 and suggested using SERS money to help balance his budget. In response, Proposition 162—the California Pension Protection Act of 1992—was put on the ballot and passed by voters, giving the SERS board absolute authority to administer and invest the pension fund and changing the name, officially, to CalPERS. Just a few years later, in 1996, the fund hit $100 billion. Governor Schwarzenegger tried to partially privatize the retirement system in 2005, with a plan that would have forced public employees to join a defined contribution plan. That idea was abandoned in the face of strong opposition by unions and studies showing that CalPERS and CalSTRS, the state teachers’ retirement fund, generated over $20 billion in economic activity for the state. In 2007, the fund’s 75th year, CalPERS was managing $241.7 billion in assets when it established the California Employee’s Retirement Benefit Trust Fund for the state’s public agencies. This $1.8 billion investment fund “prefunds” health benefits and other retirement obligations to employees of over 300 agencies, similar to the pension fund. The fund hit its peak of $260.6 billion on October 31 of that year before the worldwide financial collapse sent it plummeting 31.2% to $179.2 billion in about five weeks. The Dow Jones Industrial Average was off 39.8%. CalPERS’ real estate holdings were hit especially hard as the housing market nationwide collapsed. CalPERS CEO Federico Buenrostro Jr. left under a cloud in 2008, after six years at the helm, to take a lucrative job with a consultant to whom he allegedly steered millions of dollars of business. A subsequent investigation by an independent firm hired by CalPERS alleged that Buenrostro and two board members strong-armed a benefits firm to pay more than $4 million in fees to the consultant, Alfred J.R. Villalobos. The report said Villalobos earned $50 million as a placement agent, hooking up CalPERS with private clients in need of investment funds. The scandal led to new calls by Republicans for conversion of CalPERS’ traditional pensions with guaranteed payouts to a 401k-type plan. In 2010, the Los Angeles Times published an expose of scandal in the poor Los Angeles County city of Bell, where its chief executive, Robert Rizzo, was making $800,000 a year and other city employees pulled down high six-figure salaries. CalPERS had become aware of the situation in 2006 when Rizzo was granted a 47% pay increase but approved the deal because at least two other officials received similar boosts. Rizzo and a number of city officials were indicted on multiple charges, including fraud, and removed from office. CalPERS got a makeover by the Legislature in September 2011 with passage of legislation creating a chief financial officer and impeded the revolving door that led to lucrative placement agent positions for its employees in the private sector. CalPERS administers the largest pension fund in the country. The CalPERS fund is managed by a 13-member Board of Administration, given authority over the retirement system by the state constitution. Six members are elected, two by all CalPERS members, one by all retired members, and one each by active school members, active state members, and active public agency members. Two board members are appointed by the governor, and one by the Speaker and Senate Rules Committee. In addition, the state’s Treasurer, Controller, and the Director of the Dept. of Personnel Administration are members, and a final member is designated by the State Personnel Board. Executive officers are responsible for the day-to-day business of CalPERS and run the different divisions and offices, CalPERS’ website maintains special pages for its members, state employers, and business partners, as well as a site devoted to investment information. CalPERS manages a portfolio of investments—$236.6 billion as of February 23, 2012—which provides benefits for 1.6 million members. About 1.1 million are active and inactive public employees, and more than half a million are retirees and beneficiaries. CalPERS investments are diversified: 62% are in growth stocks, 19% are in fixed income investments, 10% are real estate and forestland/infrastructure, 4% is liquid, 3% are inflation-linked instruments, 2% are part of an “absolute return strategy.” Three-fourths of is growth stock investments are in publicly traded companies; the rest of those equity investments are in private companies. Its infrastructure investments include bridges, toll roads, utilities and airports. As of 2010, 8.5% of its money—approximately $17 billion—was invested in California-based companies and projects. The size of its state investment depends on the size of the CalPERS fund and the state of the California economy. The CalPERS asset page links to information on asset allocations, policies, types of assets, and more. Another page on investments invites proposals and links to sites for brokerage firms. 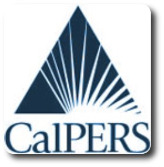 Members of CalPERS are current and retired employees of the state and local and public agencies. In addition to retirement, CalPERS manages health benefits for more than 1.3 million members and their families, a group that includes school employees as well as state and public agency employees. The benefits provided through CalPERS include retirement, disability, and survivor’s benefits including retirement payments, state employees Social Security, contracted health care with HMOs, hospitals, and insurance plans, and long-term health care. CalPERS places a good deal of emphasis on their corporate governance program, believing that good corporate governance leads to higher returns on investments. The program uses the influence of CalPERS’ investments to urge companies both domestic and abroad to adhere to certain principles and support reforms that will benefit shareholders. CalPERS controls assets that were worth $236.6 billion as of February 23, 2012. Its investment and other income in fiscal year 2010-11 was $43.9 billion. Employer contributions that year topped $7.46 billion and members paid $3.6 billion into the fund. The CalPERS portfolio has been volatile. The year before, investment and income totaled $25.6 billion, but was in the red $57.4 billion in 2008-09 during the worldwide financial crisis. CalPERS estimates that it will spend 95% of its $21.3 billion budget in 2012-13 on employee benefits. The rest is spent on administrative functions, including less than 1% for “executive direction, specialized information, and administrative support necessary to administer all of the CalPERS programs.” Services include: audits, diversity outreach, fiscal services, human resources, information technology services, legal assistance, governmental affairs, operation support and public affairs. Nearly nine out of every 10 dollars in benefits is for retirees and most of the rest pays for health benefits. In March 2011, an independent firm hired by CalPERS accused its former chief executive, Federico Buenrostro, Jr., of pressuring subordinates to invest billions of dollars of pension money with politically connected firms. The investigation found that Buenrostro and former pension fund board members Charles Valdes and Kurato Shimada strong-armed Medco Health Solutions to pay more than $4 million in fees to a placement agent, former CalPERS board member Alfred J.R. Villalobos. The consultant hired Buenrostro the day after he left CalPERS with a cloud over his head, gave him a condo in Lake Tahoe and paid him $300,000 a year. Only days before, CalPERS had announced (or admitted) that it was “cooperating and collaborating” with the state Attorney General’s Office and the U.S. Securities and Exchange Commission regarding the allegations. Placement agents are middlemen paid my money managers to help gain access to capital from institutional investors. They have become common in the private equity and real estate investment world over the past 15 years, but have been plagued by “pay-to-play” scandals in the public sector. Medco was one of CalPERS’ PPO health plans, providing mail order pharmacy benefits to over 300,000 CalPERS members. In 2006, the company won a three-year, $26 million contract that was extended twice, totaling $48 million in 2010—with another three-year contract under negotiation. No doubt due to the investigation, that contract was canceled as of January 2012, costing Medco an “estimated $500 million in annual revenue,” according to ABC News. The March report came 10 months after California’s Attorney General Jerry Brown—who is now governor—filed suit against both Villalobos and Buenrostro. Brown also requested a court order to freeze Villalobos’ assets. In response, Villalobos filed a bankruptcy petition a month later, stalling the lawsuit against him. Villalobos was accused of giving gifts and providing luxury trips to pension fund officials to influence investment decisions. In exchange for helping them win CalPERS contracts to manage about $4.8 billion worth of the fund’s securities from 2005 to 2009, he reaped $47 million in commissions from private equity and real estate investment managers to, the lawsuit said. On the receiving end, Buenrostro was accused in the report of accepting gifts worth tens of thousands of dollars from Villalobos. He traveled to Asia and the Middle East with Villalobos, and Villalobos hosted and paid for his 2004 wedding. In return, Buenrostro allegedly “inserted himself in the investment process in a manner inconsistent with prior practice at CalPERS, pressing its investment staff to pursue particular investments without evident regard for their financial merit.” He also “intervened on behalf of favored private equity funds that staff called ‘friends of Fred,’ ” according to the report. In July 2011, the lawsuit, seeking $95 million in penalties as well as the forfeiture of profits and a demand of restitution for CalPERS, was revived. An investigation begun by the Fair Political Practices Commission of 58 CalPERS current and former board members and employees ended in September 2011 with 16 fines totalling $19,600. The fined individuals admitted to violating state law by accepting, but not reporting, meals, alcohol, clothes, sports and entertainment tickets, and other gifts from CalPERS’ investment partners, like Goldman Sachs. Half of those investigated were cleared and a few others were issued warnings without penalties. State law forbids accepting gifts worth more than $50 each or that exceed annual $420 limits. Legislation to limit gifts to $50 per year was vetoed by Governor Jerry Brown in October 2011. CalPERS’ portfolio took a big hit during the worldwide financial meltdown beginning in 2008, losing a quarter of its value in the seven months. It eventually made a lot of that money back as the economy recovered, but the experience spurred CalPERS to redouble its efforts in the area of corporate governance. CalPERS has been a leader among public investment institutions in pushing those companies it invests in to improve their internal governance, publishing a “hit list” of those it feels fall short of the mark. There was no shortage of internal failings among Wall Street firms during the crash, and it vowed to take the tactic to a “new level” by insisting on greater transparency for exotic and complicated investments, tougher regulations by the U.S. Securities and Exchange Commission, and rules that would prevent companies from rating bonds and securities of corporations that pay them for the service. CalPERS first got involved in corporate governance in 1984 when Texaco bought back almost 10% of its stock from the Bass brothers at a premium of $137 million. California Treasurer Jesse Unruh viewed this move by the Texaco board of directors as buckling under to “green mail” in order to avoid a takeover and save their jobs. CalPERS, which was also a large Texaco stockholder, was not given the buyback option. CalPERS set out to reform companies it invested in with the objective of making them, ultimately, more stable and profitable. CalPERS joined with other members of the Council of Institutional Investors—a nonprofit association of public, union and corporate pension funds with combined assets that exceed $3 trillion—to pressure Congress for financial market regulatory reform beginning in 2008. Their demands included legislation that would mandate independent board chairs, shareowner access to management proxy materials to nominate directors, severance pay limitations for executives when they’re fired for poor performance, majority voting for directors, independent compensation advisers, clawback provisions to recover money from executives who profited from fraudulent or incorrect financial statements, and advisory shareholder votes on executive compensation. A year later, the council pressed President Barack Obama, House Speaker Nancy Pelosi and Senate Majority Leader Harry Reid to pursue many of the same reforms in international forums, noting that foreign ownership of U.S. corporate securities had tripled over the preceding decade. When CalPERS discovered during a routine audit in 2006 that Bell City Manager Robert Rizzo received a 47% pay hike the year before, its response was silence. The agency is supposed to take action when it spots a pay spike because of its pension consequences, but CalPERS deemed the increase legitimate because the assistant city manager and city council members also received huge salary boosts. Rizzo’s salary eventually reached $800,000 a year. The attorney general filed a civil complaint with the Los Angeles Superior Court the next month that alleged “waste of public funds, negligence, fraud, conflict of interest, breach of fiduciary duty and violation of public trust” by Bell city officials, including the chief administrative officer, assistant chief administrative officer, chief of police, and certain past and present members of the City Council. The civil suit was eventually tossed out of court, but criminal charges were soon to follow. CalPERS announced it would review the compensation of any CalPERS-covered employee making more that $245,000 a year and in November 2010 said it would not pay pensions to the Bell officials based on the salary increases. It released a report of its findings to date that castigated the city for failing to produce requested documents and being uncooperative. The city responded that it had been cooperative and would continue to work with CalPERS, but that the requested documents did not exist. In February 2011, Rizzo and seven other Bell officials were charged with looting one of Los Angeles County’s poorest municipalities of more than $5.5 million. Eight charges of attempting to manipulate the state pension system were added in a March 2011 indictment and the city recalled the mayor, three sitting councilmembers and one who had already resigned. Rizzo sued the city of Bell in November 2011 for firing him without cause because he had not been convicted of a crime, yet, and demanded back pay. Joseph Jelincic, a labor activist and outspoken advocate for retirement security for working people, was accused of sexual harassment of co-workers both before and after he became a member of the CalPERS governing board in January 2010. The Sacramento Bee reported that “the fund launched a sexual harassment investigation and last December  formally reprimanded Jelincic” after complaints were received. The incident would have gone unnoticed, but Jelincic—past president of the California State Employees Association—appealed to the State Personnel Board, making the complaint against him public record. The reprimand was upheld. A week after the decision, the board held a brief meeting and censured Jelincic. He was suspended for six months from chairing the CalPERS investment policy subcommittee and his vice chairmanship of the health benefits committee. And his travel privileges were briefly suspended. Jelincic was not required to attend the meeting. As of January 2012, about 9% of CalPERS investments were in real estate. But that was after a three-year beating it took from the collapse of the housing market and international financial debacle. Along with the shift to riskier real estate, wrote Kevin Brass of the World Property Channel, CalPERS “moved toward ‘a less formal authorization process,’ giving staff less control of the risky investments.” CalPERS also increased leverage, concentrated its investments in sub-markets, and complicated transactions by commingling investment vehicles. As CalPensions reported, “CalPERS paid $970 million in January 2007 for a majority stake in a Lennar Corporation development on the 15,000-acre Newhall Ranch north of Los Angeles. The project declared bankruptcy 15 months later.” Actually, CalPERS had partnered with MacFarlane Partners and Weyerhaeuser to buy two-thirds of the project, according to the Inland Politics blog. The net loss for CalPERS: $922 million. As bad as it was, the LandSource deal was not the biggest real estate debacle suffered by CalPERS. That would probably be the 2005 purchase of CenterPoint Properties, a publicly traded real estate trust based in Oakbrook, Illinois, for $3.4 billion. “An analyst told Forbes he thought CalPERS paid $900 million more than the value of the property, apparently to get the CenterPoint management team,” said CalPensions. In January 2012, CalPERS announced it was selling a portfolio of 28 housing communities—estimated at one-fifth of all CalPERS residential land holdings—to Newland Real Estate Group LLC and Sekisui House, an affiliate of Japan's largest home-building company, Sekisui House Ltd. The deal was valued at between $500 million and $600 million. Pension reform has become a hot-button issue in California. Stories about exorbitant retirement benefits for local officials, corruption and underfunded pension funds—combined with other economic woes—have sparked grass roots movements to reform pension funds, including CalPERS. In October 2011, Governor Jerry Brown unveiled a 12-point pension reform plan that he claimed would cut state costs in half by reducing benefits and increasing the retirement age, among other changes. His plan proposes adding two more public members to the CalPERS board, for example, and the independent Legislative Analyst’s Office approved that idea. Some of his reforms would call for legislation, others for a constitutional amendment. In response, CalPERS has released an actuarial staff analysis outlining the costs of creating a hybrid pension reform plan like the one Brown proposed. Addressing other proposed changes, CalPERS maintains a Regulatory Action page on its website that links to all possible sources of changes in the laws governing health care, pension reform, tweaks to the California Code, and more. Are Bonus Checks to CalPERS Managers Warranted? In spite of the financial woes of the state and the pension fund investments, “Top administrators and investment managers at the California Public Employees’ Retirement System were awarded $4.5 million in bonuses, averaging 41% of their base salaries for the year that ended June 30,” according to an October 2011 story in the Los Angeles Times. No—Why Reward Bad Money Management? PersWatch took a measured approach to the bonuses, bringing up criticisms to the system that author James McRitchie has made before. “CalPERS bonuses are structured with no downside risk, only upside gain,” he wrote. “Adjustments or ‘clawback’ provisions are needed to recoup unearned bonuses. “There should be no bonuses until the losses are all made up,” says the Stated Truth blog. “The 2011 bonuses came after CalPERS reported a return on investment of 20.7% for the fiscal year that ended in June. Folks, the markets bounced to the upside around the world, it didn’t take a rocket scientist to make it happen. Yet these bozos get paid a bonus irregardless of the results. Fred Buenrostro, Jr., 2002-2008. Although allowed to retire, Buenrostro’s resignation may have been forced by other board members who found his management style contentious. After he left CalPERS, federal and state investigations into his conduct resulted in charges filed against him. He is alleged to have demanded and received kickbacks in return for steering CalPERS into certain investments. James E. Burton, 1994-2002. Burton was a former deputy chief of staff to the governor who also held several high positions in the state Treasurer and state Controller’s office. After leaving his post at CalPERS, Burton became CEO of the World Gold Council, a marketing, research and advocacy firm, sat on several boards in the financial community, and in 2010 joined California Strategies, a public affairs company. CalPERS’ first female chief executive officer, Anne Stausboll, took office January 2009. Stausboll received a bachelor of arts in English from Oberlin College and earned her juris doctor degree (Order of the Coif) at the University of California, Davis School of Law. She also taught legal writing at that school. In 1984 she was appointed deputy general counsel for CalPERS, serving as legal counsel to the board’s benefits and program administration committee and other offices. Following that, she was staff counsel for California State Employees’ Association and executive director for California Comparable Worth task Force. She returned to the CalPERS Legal Office for six years starting in 1994, two of those as deputy general counsel. In 2000, Stausboll became general counsel and later chief deputy treasurer to state Treasurer Phil Angelides, where she directed the operations and programs of the treasurer’s office. Stausboll was hired as chief operating investment officer for CalPERS in 2004, serving in that capacity for four years. During that time she twice became the CalPERS interim chief investment officer, the most recent term from April to December 2008. At the time she was named CEO of CalPERS, the fund was dealing with a 26% drop in investment value over 18 months—from $247.7 billion to $182.6 billion. Extensive real estate investments caused many of the losses. Stausboll also co-chairs the Ceres Board, a nonprofit organization that leads a national coalition of investors, nonprofits and environmental groups to work with companies, formulating policy and day-to-day practices that address climate change, water scarcity, and other sustainability issues. She sits on the Toigo Foundation Advisory Board, which aims to increase diversity among leaders in the finance industry. She was also part of the working group charged with formulating the United Nations Principles for Responsible Investment and served on the Governing Board for that group for three years, ending in 2009. Anne Stausboll is married to attorney John Adkisson, who currently serves as special counsel to the Senate Office of Oversight and Outcomes.